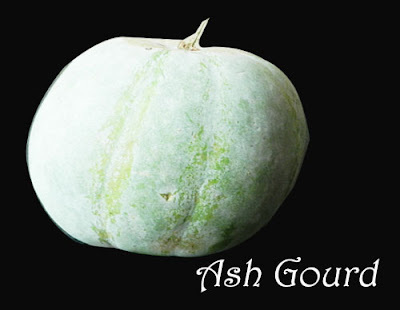 Ash gourd a very commonly used vegetable in Indian houses, a tasteless, watery fruit but really yummy when curried. I have already shared a few recipes before, but today, my plan is to share some general information about this vegetable. 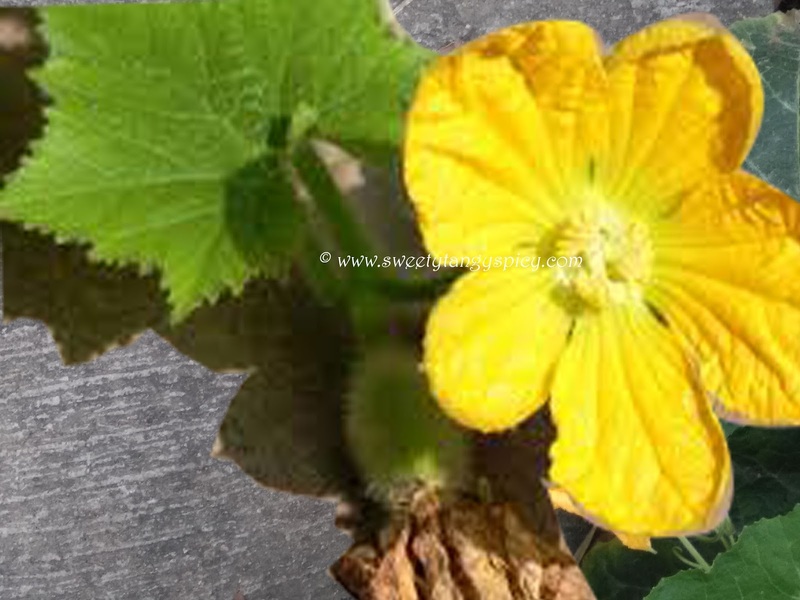 Ash gourd is an annual plant grown in tropical regions for edible purposes. It is commercially cultivated in almost all parts of India. The plant consist of a crawling or climbing creeper with small hairy vines and broad heart-shaped rough leaves. Small tendrils are also present, which serve to support the vining stem. The unisexual yellow flowers borne in the leaf axils. Both male and female flowers will be present on the same plant. It needs some propagating agents like insects, especially bees for pollination. This is the reason why hand pollination is recommended on rainy seasons. Its fruits are generally cylindrical or oval in shape. The baby fruits will have hairy skin and sweet white thick flesh. But when it matures, this sweetness vanishes and has a very mild or virtually it has no taste of its own. Also, the skin became darker, thicker and will be covered with a white waxy ash like coating (so the name ash gourd). The presence of this ash like powder provides a long shelf life to this unique vegetable. Anyways, this post is about the health benefits of vegetables, so lets us discuss some of these. You know, ash gourd is an excellent vegetable with high protein and nutrient content. It is rich in vitamin C, Vitamin B1 (thiamine), vitamin B2 (riboflavin) and Vitamin B3(niacin). Its also a rich source of minerals like calcium, potassium, zinc, iron, phosphorous, etc. The water content of this vegetable is around 96%. Due to this rich nutrient, vitamin and mineral content, ash gourd is used as an excellent remedy for health related problems. Some are given below. Due to the presence of vitamin C, ash gourd helps to eliminate damages caused by pollutants, free radicals and other toxic materials. Generally the presence of vitamin C boosts our immune system and protect our body from viruses of common cold and related problems. But the use of ash gourd is not recommended in winter season, especially when you have cold and cough because of the cooling effect of this vegetable. Ash gourd juice is known to be an excellent remedy for dandruff and also it promotes hair growth. The use of coconut oil boiled with ash gourd seed and ash gourd peel is also beneficial. Use of ash gourd along with lemon juice will help to get rid of black spots and will help to retain natural glow to the skin. Usually for obese people, a common suggestion is to drink ash gourd juice in the empty stomach for reducing weight. I don’t think it is true. It might be considered as an ideal alternative during fasting due to its high water content, low calories and nutrient value and In Ayurveda, it is used to gain weight for underweight people. Ash gourd helps to calm our mind and relieve stress and strains due to its natural cooling effects on the nerves and brain. The presence of high fiber content enhances the digestive system and also reduces the cholesterol absorption rate. It is an excellent home remedy for peptic ulcers, it acts as diuretic, anti- diabetes, etc. ash gourd is usually shattered by pounding on the ground to symbolize the evil power destruction. I have seen in festive seasons here in Tamil Nadu. But I don't know whether this custom is there in Kerala or not. But the ash gourd is used for guruthi pooja in Kerala bhadra kali temples has same sense and meaning as in Tamilnadu. Apart from all the health benefits described above, ash gourd or white melon is a very common edible fruit which is widely used in soups, curries, sweet and a wide range of recipes in India. Kumbalanga paal curry - A very simple and delicious dish from Kerala made with ash gourd, shallots and coconut milk. 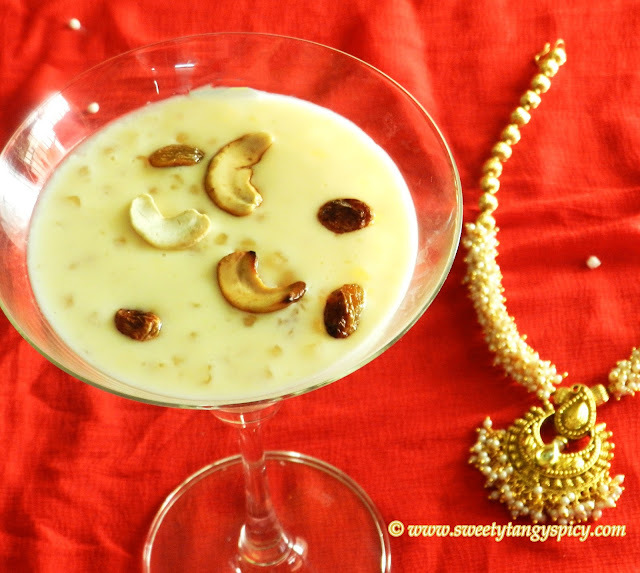 Kumbalanga moru curry - Another delicacy from Kerala made with asnh gourd, curd and coconut. Olan- A very important item of Kerala sadhya made with ash gourd, cow beans and coconut.